Rosacea is a chronic skin condition that causes inflammation in a person’s face. The most commonly affected areas are the cheeks, nose, chin, forehead and eyelids. Symptoms include redness, spider veins, red blood vessels, swelling and sores similar to acne. Rosacea is a serious and long-term chronic condition. You should go to your doctor for a diagnosis and treatment plan. In serious cases it can cause blindness. For Kelowna rosacea treatment Dr. Crippen at the Dermmedica clinic is a certified by the American Board of Laser surgery to perform cosmetic laser procedures. 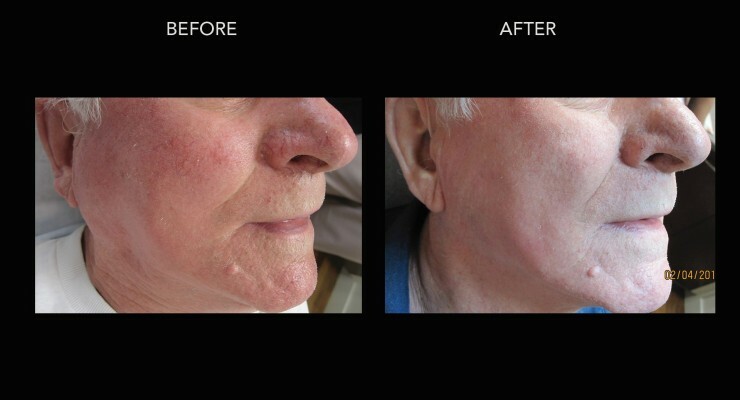 He is experienced in Rosacea treatments. The most common symptom of Rosacea is redness of the face. It can occur in certain areas or over the whole face. This redness can have a significant negative effect on individuals. Other conditions and sunburns can cause facial redness. As a result it is important to visit a doctor to receive a diagnosis. 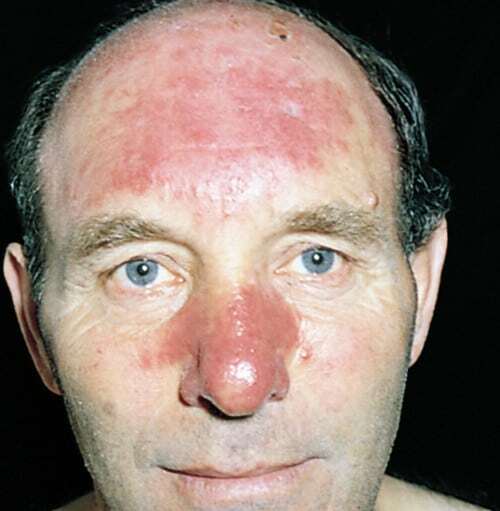 Rosacea is more common in fair-skinned individuals in particular those with Northern European ancestry. Those who blush easily are more at risk. It is more common in women than men. Those between the ages of 30 and 50 are at an elevated risk. Rosacea has four subtypes. They are erythemato-telangiectatic, papulo-pustular, phymatous and ocular. Each one of them requires a different style of treatment. 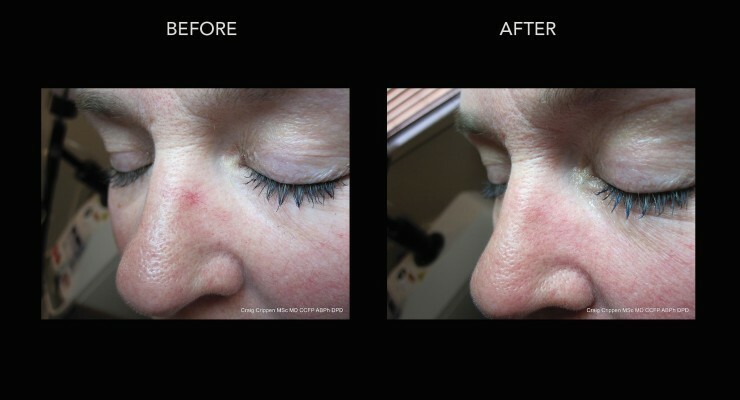 For our Rosacea treatment in Kelowna we tailor the treatment to what will work best for whatever type the patient has. Rosacea treatment should be tailored to the specific subtype and severity of the disease to create and optimize the patients therapy. The Erythemato-Telangiectatic subtype presents as redness and visible blood vessels on the cheeks, forehead, nose or the face in general. Individuals with this type will be intolerant of most skin medicines and cosmetics. It is treated by avoiding things that trigger blushing, use of sunscreen, photoprotection and laser therapies. 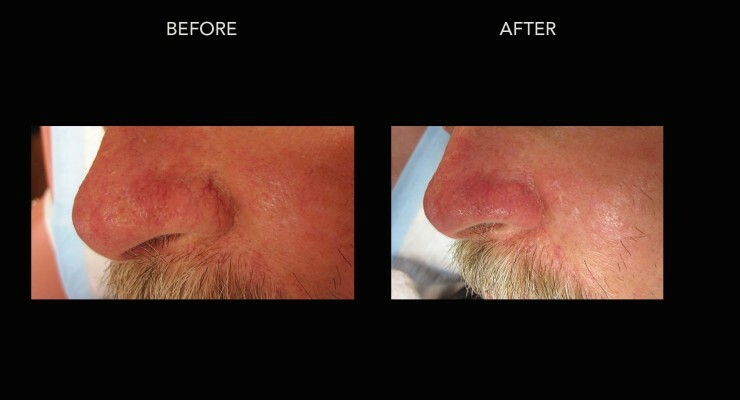 The laser treatments target the redness and blood vessels. Lasers used in these treatments include pulsed dye laser, KTP laser and Nd-YAG laser. The type of laser used depends on the nature of the blood vessels. The second subtype has symptoms including papules and pustules. Facial redness is concentrated on the nose, cheeks and forehead. Antibiotics and topical treatments are used for this kind. Medications used include azelaic acid, doxycycline, metronidazole, minocycline and tetracycline. Accutane is used in severe cases that don’t respond to other medications. Laser therapy is quite effective on this type. It helps to reduce the frequency of Rosacea and heals papules. The third type has symptoms including thicker skin and strange skin texture. Swelling or enlargement may happen in the oil glands, connective tissue and veins in the nose. The chin, ears, forehead and eyelids may also be affected. This subtype presents almost exclusively in men. It is a severe and requires antibiotics, laser treatment or surgery. The CO2 laser is best for this subtype. The fourth subtype doesn’t always include skin symptoms. Usually the blood vessels in the eye are red and visible. Other symptoms include swollen eyelids, the feeling of a foreign object in the eye and inflammation of the eyelid glands. It is treated with antibiotics and by making sure to keep the eyes clean. Rosacea is a chronic condition for which there is no cure. However, it can be treated and monitored. Avoiding triggers is one of the keys. 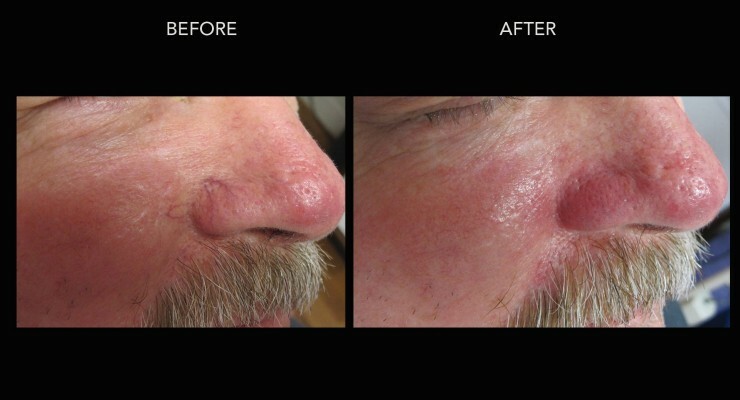 Laser treatment can be very effective in treating Rosacea. It helps to reduce the density and quantity of blood vessels in the outermost layers of skin. 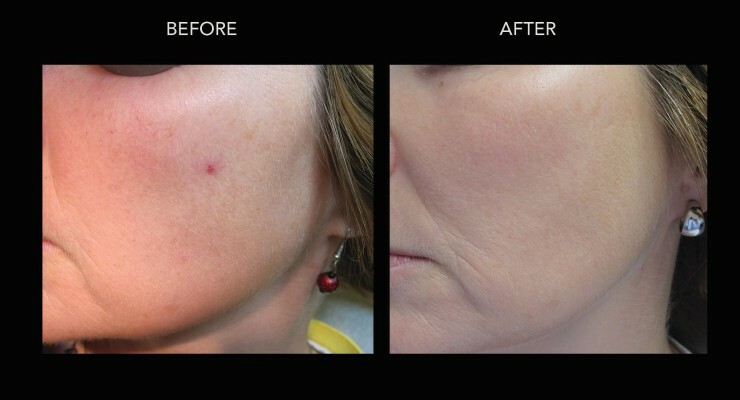 After treatment most patients have skin that feels and looks better. Inflammation will be decreased as will the number of sores. 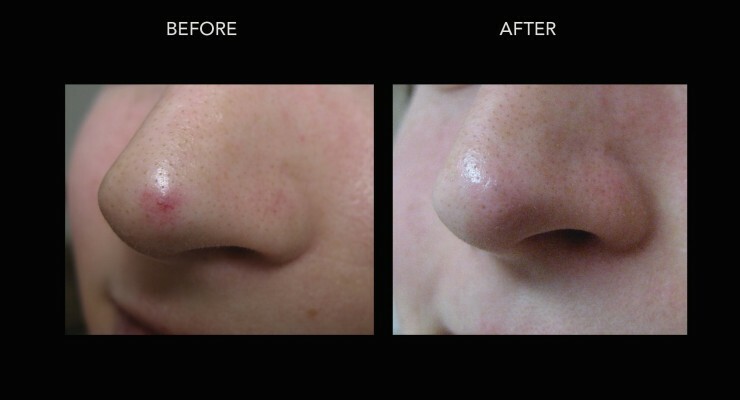 Many patients return to Dr. Crippen on a regular basis to maintain their skin treatment. How Many Treatments Are Needed to Clear Skin of a Rosacea Outbreak? Can Treatments Eliminate Rosacea? It is not possible to completely get rid of Rosacea. It is a chronic condition that can be managed. The number of treatments needed to see reduced symptoms varies from patient to patient. If Rosacea Can't Be Cured How Do the Treatments Help? Despite being unable to cure Rosacea treatments can help to manage it and reduce symptoms. Medications and laser treatments can reduce the redness of skin. The lasers shrink blood vessels near the surface of the skin. This reduces redness as well as the occurrence of acne. What Causes Rosacea to Begin Appearing? The appearance of Rosacea has never been successfully linked to a single cause. There are a number of uncontrollable genetic and age-related risk factors, but no way to predict or prevent it from developing in the first place. Most types of Rosacea can be treated more effectively now than ever before. 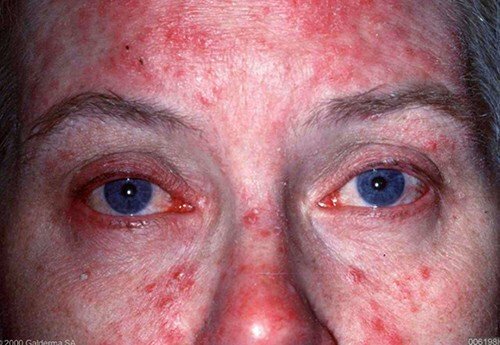 Best Laser Treatment for Rosacea Redness? There are a few laser options for rosacea but the gold standard treatment is normally the VBeam laser which works at 595nm. What Are the Best and Latest Treatments for Rosacea? The best treatments for rosacea are usually a combination of oral and or topical medications including laser therapy for the underlying redness. There are a few ways to categorize rosacea but normally we classify it as mild moderate or severe. 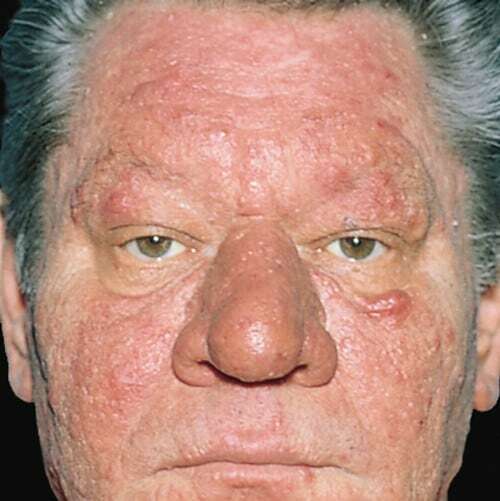 The severe subtype includes ocular (eye) symptoms and rhinophyma(enlarged bulbous nose). How Do Laser Treatments Affect Rosacea? We don’t know exactly the mechanism of the effect of laser on rosacea but the effect of closing some of the superficial blood vessels with VBeam laser therapy seems to be a major reason for the improvements seen after laser alone. How Long Will It Take to Work Effectively on Moderate Papular Rosacea? 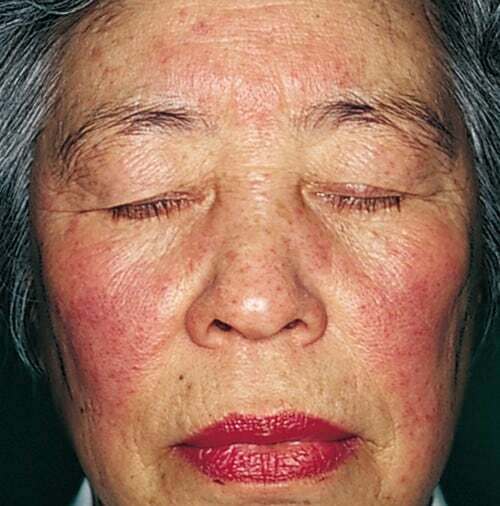 We normally use a combination of medications and laser for this kind of rosacea but effects are usually seen to begin about 2 weeks after initiation of therapy. What's the Difference Between Normal Physiological Blushing/Flushing and Rosacea Blushing/Flushing? This is a good question. Normal or excessive flushing does not need to be treated however the flushing with rosacea should be to prevent skin deterioration and worsening of symptoms. Also, between episodes of physiologic flushing the skin looks almost normal skin colour. Is There a Laser Treatment for Papulopustular Rosacea? 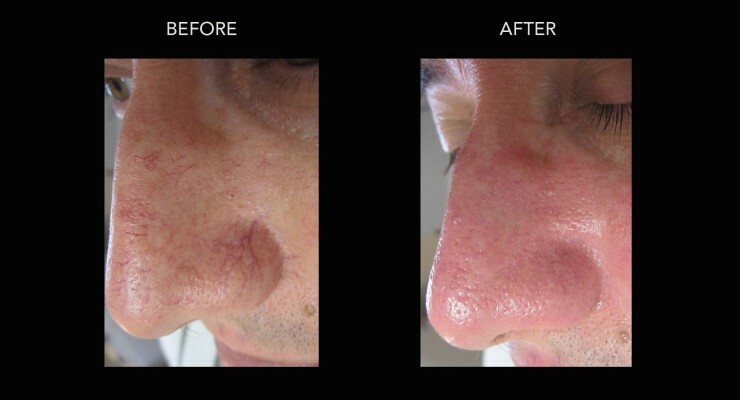 Yes, the VBeam laser is ideally suited to treat rosacea with it’s hemoglobin-specific wavelength of 595nm.